The 24-year-old Sussex player, who was born in Barbados but has an English father and holds a British passport, completed a three-year qualification period on March 17. He is available for selection for the first time. Eoin Morgan leads a strong squad, albeit without the rested IPL stars Moeen Ali, Jonny Bairstow, Jos Buttler and Ben Stokes. 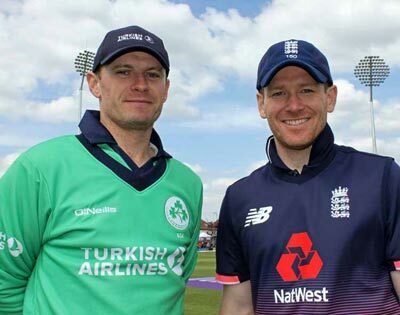 Dubliner Eoin Morgan skippers the side, with a number of players looking to impress before England confirm their World Cup squad on May 19th.